Conveniently store and protect quilt batting while quilting. The Handi Hammock keeps batting off the floor and out from under your feet. 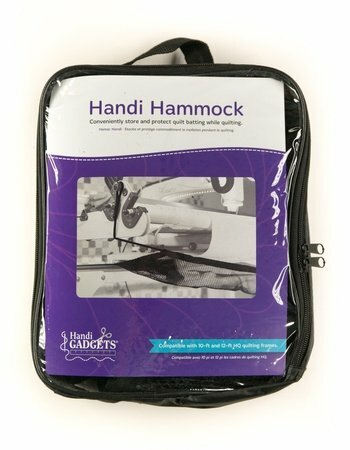 Use the included hardware to permanently install your hammock on your Handi Quilter longarm frame. Compatible with 10-foot and 12-foot HQ quilting frames.